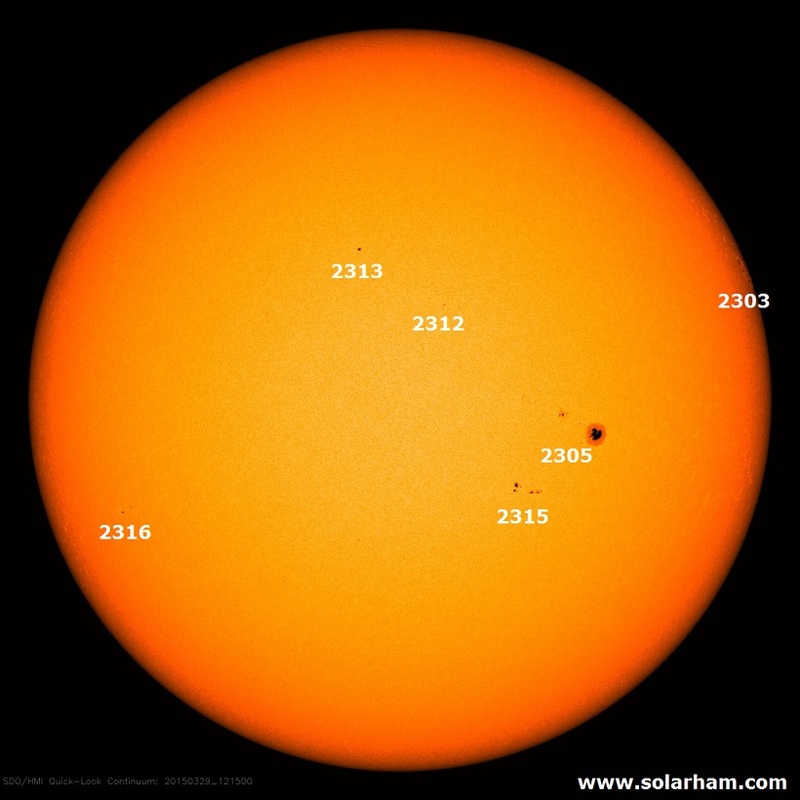 Majority of the solar activity during the last 24 hours, as well as strongest reported flare C3.0 which peaked at 06:56 UT this morning, originated from the Catania sunspot group 6 (NOAA AR 2303) currently situated at the west solar limb. The Catania sunspot group 13 (NOAA AR 2305) still has beta-gamma configuration of its photospheric magnetic field, and therefore might be the source of C-class flares in the coming hours. No Earth directed CMEs were observed during last 24 hours.The ACE data indicate arrival of the ICME (yesterday still identified as transient in the slow solar wind), early on March 28. Since then the interplanetary magnetic field shows increased magnitude, with the maximum value about 16 nT reached on March 29, and the current value of about 10 nT. The Bz component of the interplanetary magnetic filed had intervals of negative values up to - 8 nT. The solar wind speed stayed low and it currently amounts about 350 km/s. It is still not clear what was the solar origin of the observed ICME. The fast flow associated with the extended southern polar coronal hole might be expected in the afternoon of March 30. The geomagnetic conditions are quiet, and we expect quiet to unsettled geomagnetic conditions in the following 24 hours.